Our 2017 Valentine’s Day Collection is now available! 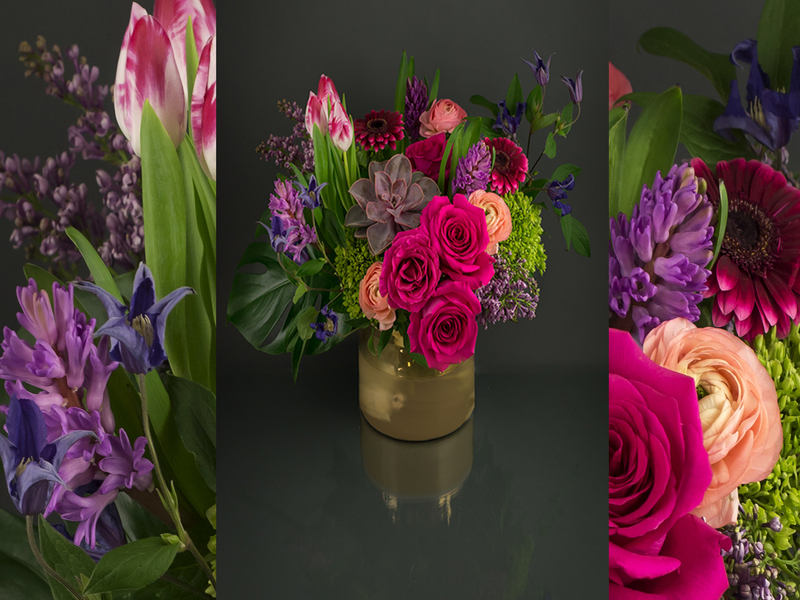 Hand crafted with love, this exclusive collection of Valentine’s Day Flowers is available for same day delivery or pick up in Kansas City. 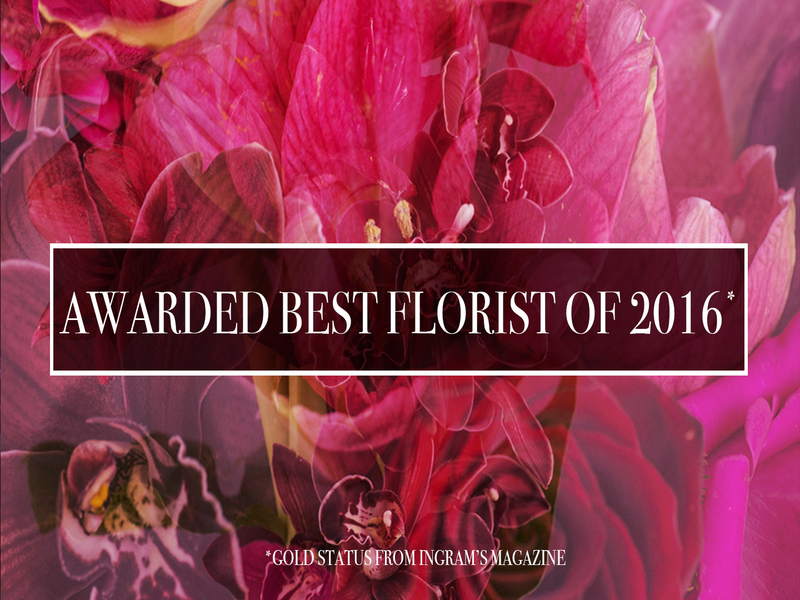 Recently Trapp and Company was named 2016′s BEST FLORIST IN KANSAS CITY (Gold Award) by Ingram’s Magazine. See the Trapp difference this year when you purchase your sweetheart their Valentine’s Day flowers from us. 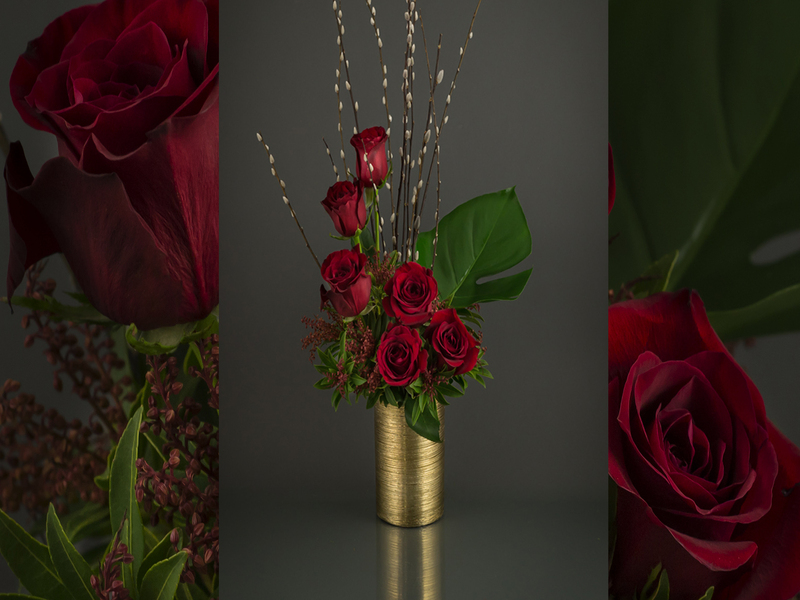 This feisty arrangement features a half dozen red roses, mixed greens and decorative willow in a tall gold vase. If you’re looking for something wild to send to someone you’re crazy for, this arrangement is perfect for you! Crazy 4 You, part of Trapp and Company’s 2017 Valentine’s Day Collection is available for same day delivery in Kansas City. 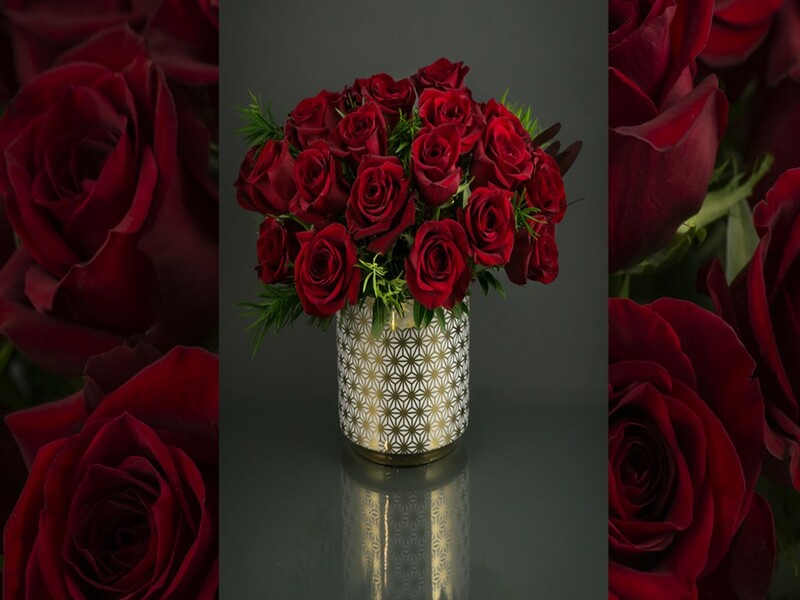 Tall and mighty, this True Love arrangement is a great alternative to a traditional set of red roses. 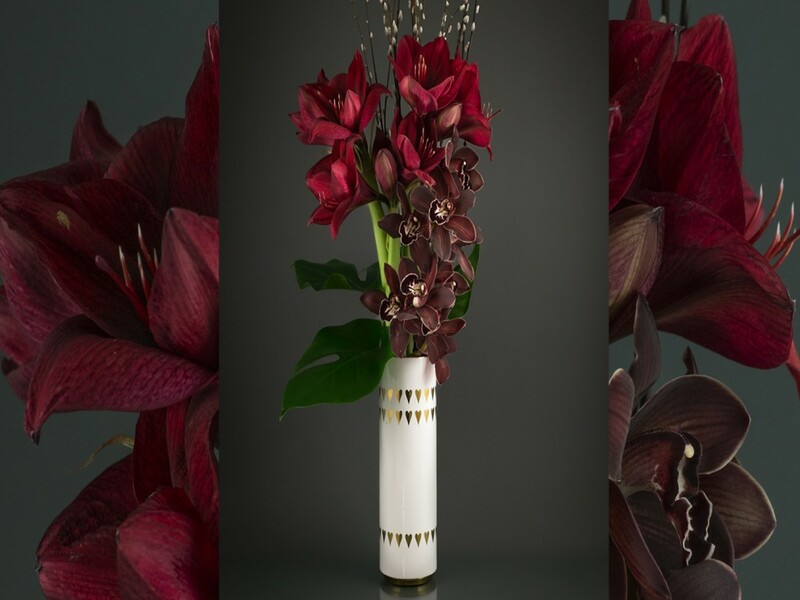 This arrangement features premium modern flowers, amaryllis and cymbidium orchids, in a tall slender vase and is perfect to make a statement! 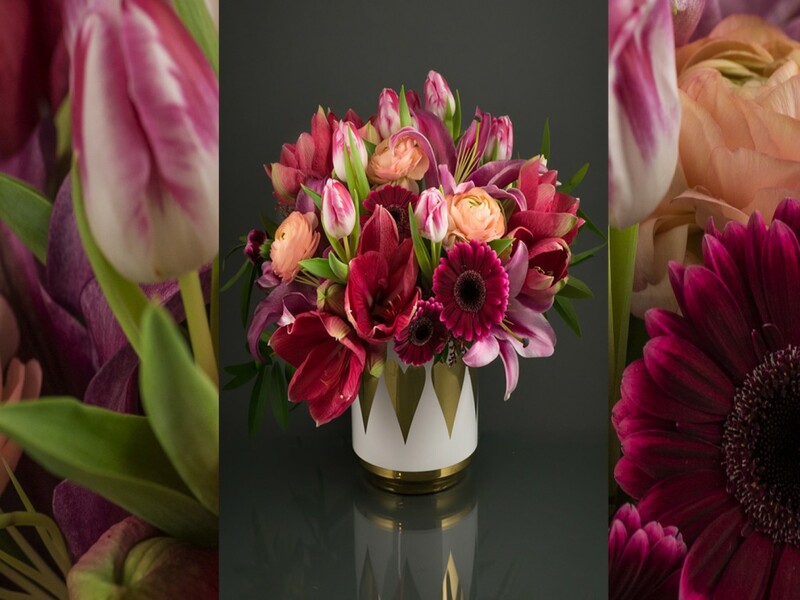 True Love, part of Trapp and Company’s 2017 Valentine’s Day Flower Collection is available for same day delivery in Kansas City. The Sweet Pea arrangement is the sweetest way to show your love, and is a darling bouquet featuring pink swirl tulips, pink amaryllis, mini pink Gerbera Daisies, pink lilies and peach ranunculus. Sweet Pea, part of Trapp and Company’s 2017 Valentine’s Day Flower Collection is available for same day delivery in Kansas City. The Soul Mate arrangement is a classic way to show your love this Valentine’s Day. Featuring 25 premium a mix of greenery in a low modern vase. This arrangement is available in red, pink and coral. Soul Mate, part of Trapp and Company’s 2017 Valentine’s Day Flower Collection is available for same day delivery in Kansas City. 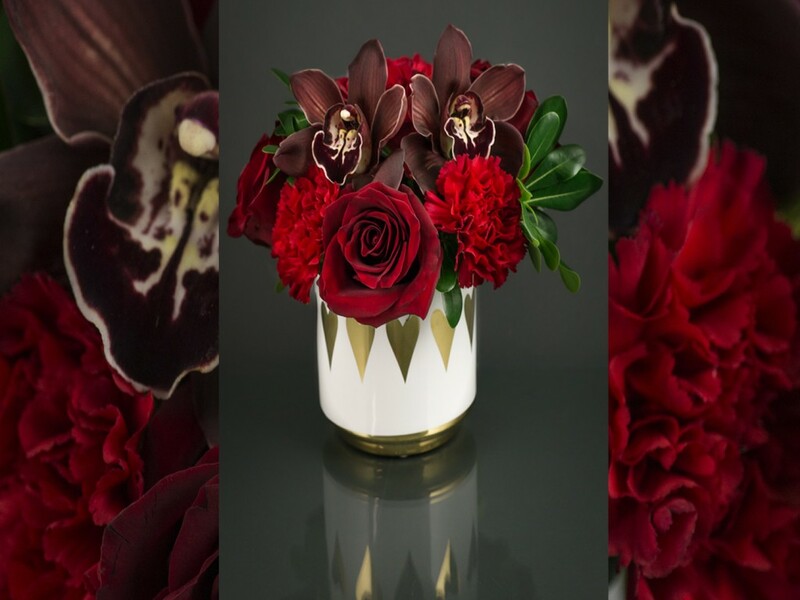 This little Love Bug features a display of red cymbidium orchids, roses and red carnations in a low chachepot. 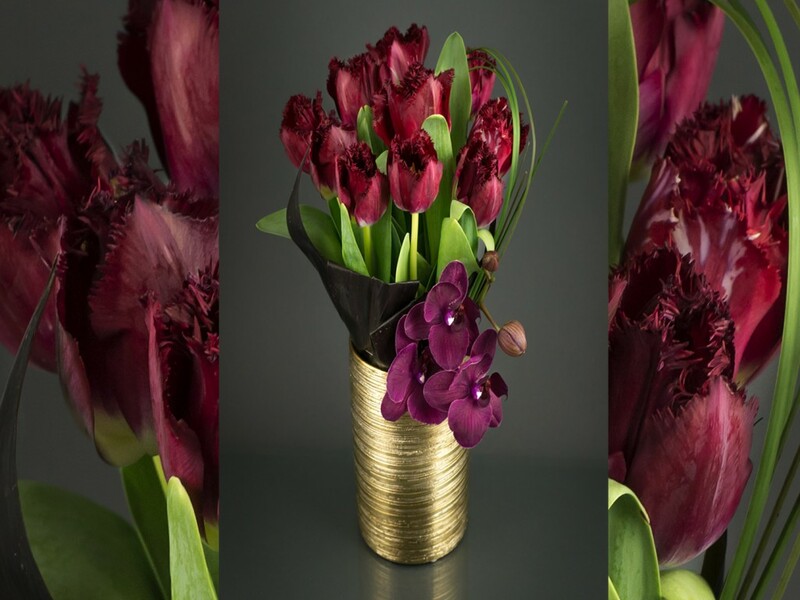 Perfect for a desk or bedside table, this arrangement is sure to bring joy wherever it roams. Love Bug, part of Trapp and Company’s 2017 Valentine’s Day Flower Collection is available for same day delivery in Kansas City. 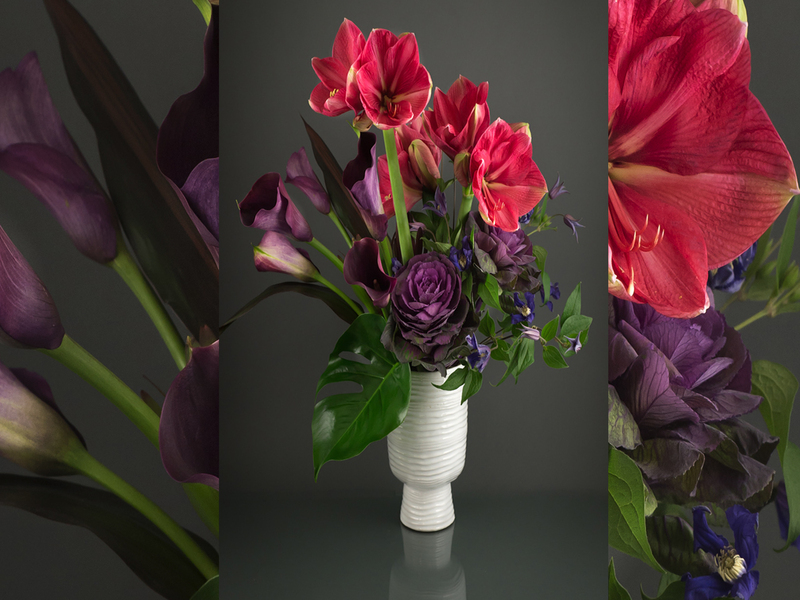 Our Kiss Me arrangement is a precious blend of gardenie and modern; featuring purple tones in the clematis, purple kale, and plum mini calla lilies with a pop of pink from these amaryllis. Kiss Me, part of Trapp and Company’s 2017 Valentine’s Day Flower Collection is available for same day delivery in Kansas City. 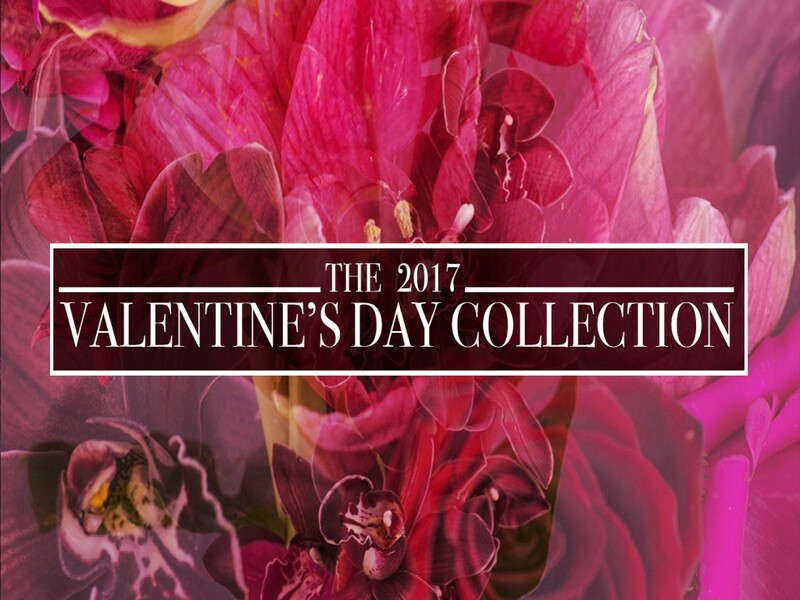 Trapp and Company’s 2017 Valentine’s Day Collection is available for same day delivery in Kansas City.